The “Mission to the Mountains” was an awesome event thanks to God and glory to His Name! God was truly overwhelming in our midst. 76 men participated in the weekend. Below is a picture of Harry Cannon and Henry Cunningham enjoying the sun. 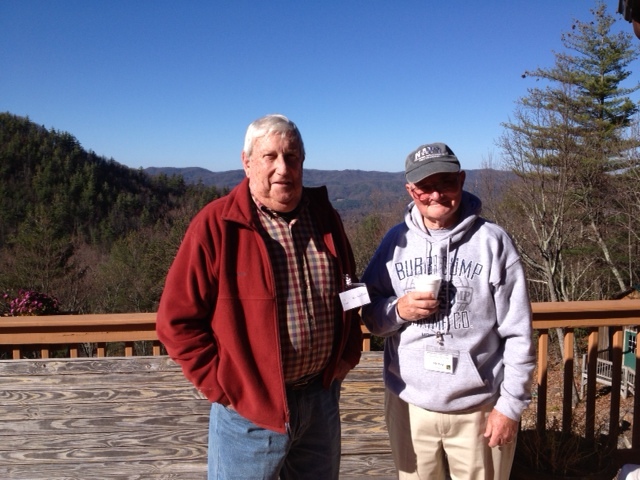 We appreciate the hospitality of Stu Stephens and Cherokee Cove Conference Ctr. They did a spectacular job hosting and feeding us. The Rev. Charlie Walton was inspired and gifted by the Spirit in his talks and ministry. We thank God for the testimonies of the men who shared God’s transforming salvation in their lives with us. We look forward to next year’s mission! Any questions regarding the retreat: redeemercamden@gmail.com.